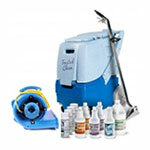 For superior cleaning of hard surfaces the Torrent is the machine for you. 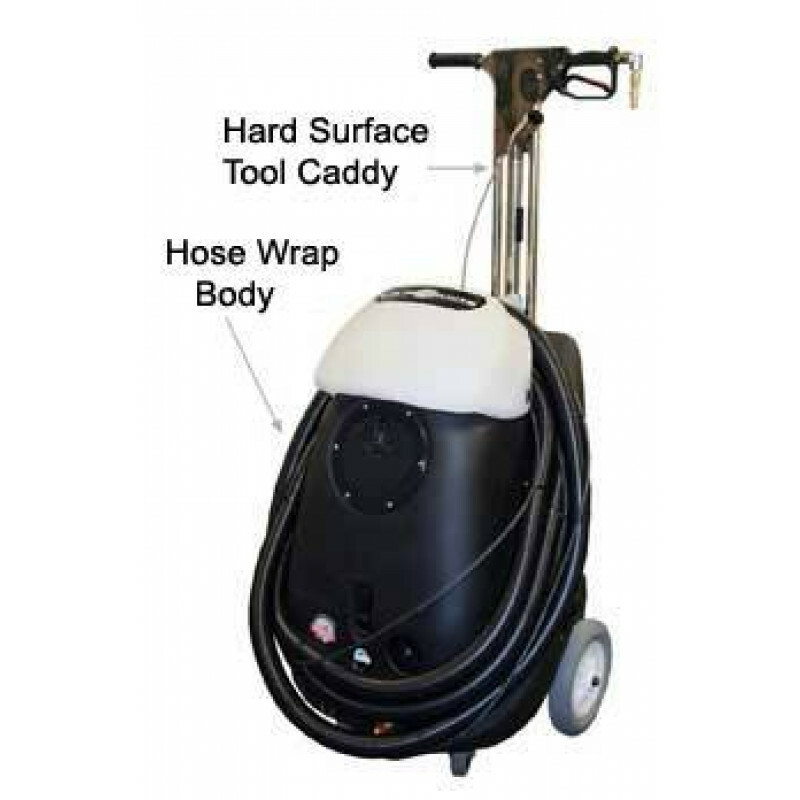 You get a powerful, adjustable 400 - 1200 PSI from this machine and the generous 25-foot hose allows you to extend out a significant distance in your work area. Add in the optional scrubbing wand and you have a tile and stone cleaner for any professional floor cleaning business. The upright design, at 145 pounds without tools, makes it easy to transport and maneuver by just one person. If you're looking for a multi-purpose machine instead of just this hard surface cleaner then take a look through our list of tile and carpet machines. The Torrent is rated Gold by the CRI Seal of Approval. This is a very high rating for a floor cleaning machine, giving you superior cleaning performance. Fully adjustable 400 - 1200 psi working pressure. Extended service intervals - up to 3000 hours. Direct water feed reduces cavitation and possible pump damage. Inline filter prevents debris from damaging system. Pressure gauge and amp gauge provided for proper pressure adjustment. Premium efficiency "Wattsaver" totally encloses fan cooled motor. Best class (F) motor windings for longer life. Parallel mounted twin 3-stage vacuum motors for high CFM. Unique "Air Horn" vacuum manifold for high efficiency. Exhaust diffuser reduces decibels for quieter operation. Float controlled auto dump pump at 2.5 gpm continuous operation. 10" wheels positioned to climb stairs. Rear wheels and top of handle form "skid rails" for ease of loading. 800 micron polyester mesh with quick change feature, stainless steel 50 mesh tank filter. Smart Circuit Locator locates two separate circuits to eliminate blown fuses or tripped circuit breakers. Wand caddy designed for Turbo tool (part # HFT-40). 50-foot direct water feed hose included, with chemical injection, regulator and back flow prevention included.